This is an agreement between you (“You”) and Charter Primary School (the “School”). “We” and “Us” means both You and the School. The effective date of this Agreement is when You accept this Agreement in accordance with the procedure set out above. You hereby consent to the exchange of information and documents between Us electronically over the Internet or by e-mail, and that this electronic Agreement shall be the equivalent of a written paper agreement between Us. 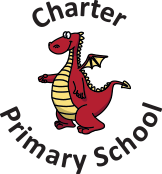 © Charter Primary School, United Kingdom.